Design Tech, Incorporated is one of the fastest growing companies in the Southeast. Creating residential home designs since 1985, Design Tech has earned an impressive array of awards for its distinctive mountain retreats, beach villas, neighborhood, and country homes. Always seeking to create a perfect living environment, its home designers have mastered the art of designing functional homes to suit the unique lifestyle of each of its clients. Consistently taking top honors in the annual Wake County Home Builders Association Parade of Homes in Raleigh, North Carolina. 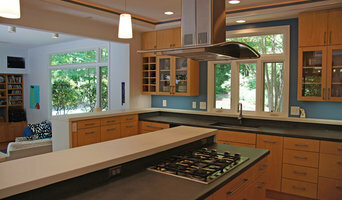 Design Tech has a solid following of delighted customers across the Triangle area and beyond. Specifically, Design Tech offers its customers superb expertise coupled with genuine creativity. Whether you're looking for traditional, contemporary, or European styling, Design Tech will integrate the perfect balance of comfort, spaciousness, livability, and aesthetics in your design. 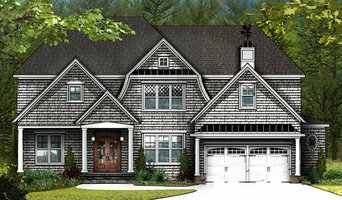 Vaulted ceilings, angled walls, unique rooflines, creative elevations... all spelled out in exceptionally detailed working plans that enable a builder to take your dream home from concept to completion. Design Tech plans are innovative, all-inclusive, and ready for permit when you leave their offices. Cogitate Design is a full service architectural firm. Principal Architect, Keith Palma, approaches each project by striving to define the inherent design issues- independent of the latest trends- and providing solutions that are respected by our clients and known for design quality. His process involves considerable client interaction and involvement in an effort to craft buildings to their needs and wishes. His work is not rooted in a particular style; it is about absorbing a client’s philosophy and responding appropriately. How do I find the best Garner architect for my home design project? It is best to hire a home architect who will be involved in all phases of the design process, from the initial concept to the completed construction. The architect is often the first person you will hire for your project. If necessary, they might also help you select and hire North Carolina subcontractors, which can include the builders, engineers and landscaper. Interior architects are also involved in negotiating contracts for all involved participants. It is for these reasons that it is extremely important for you to have a good relationship with the Garner residential architect you hire. He or she can be the tie-breaking vote between you and the general contractor and can be your biggest advocate during the construction process. Different architecture firms in Garner, NC provide different services, so the scope of the work can span from pre-design environmental impact studies to selecting furniture and finishes, depending on what your specific needs are. It is very important to hire the right professional for the job. Remember that the most well-known or established designer might not provide the best architectural services for your needs. It all comes down to the individual project. Research and ask people whose work you like for recommendations. It's important to have somewhat of an idea of the style of house architecture that you prefer, as well as the amount you would like to spend. Residential architects in Garner, NC are natural problem solvers. They will assess the entire situation and help you to solve your problems too. Don't settle for a single company too early. Call and interview a few. Make sure that you feel like your personalities will mesh well and that you like their professional perspective. Find a home architect in Garner, NC on Houzz. 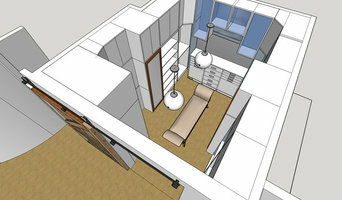 Narrow your search in the Professionals section of the website to Garner architects. You may also look through photos of North Carolina projects to find interior architects and building designers who have worked on a project similar to yours.